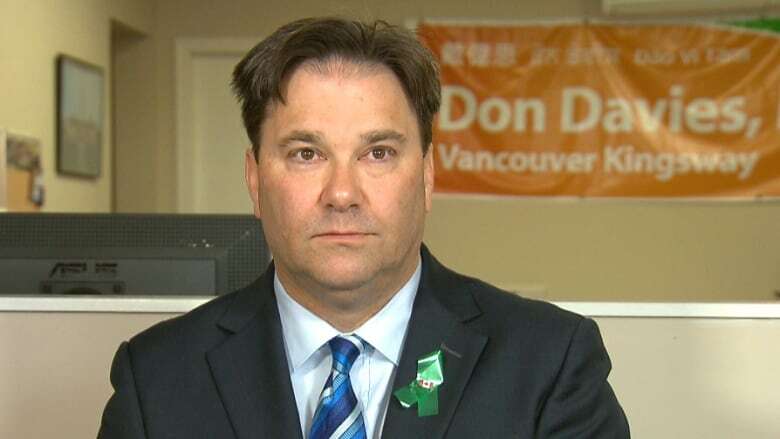 Don Davies, the NDP health critic and Vancouver-Kingsway MP, formally called on the federal government to launch a criminal investigation into the conduct of opioid manufacturers in Canada and seek compensation for the costs of addiction on Thursday. The NDP's federal health critic says it's time governments hold drug manufacturers accountable for their part in fuelling the opioid crisis. On Thursday, Vancouver-Kingsway MP Don Davies formally called on the federal government to launch a criminal investigation into the conduct of opioid manufacturers in Canada and seek compensation for the costs of addiction. Overdoses now kill more people in British Columbia than vehicle accidents and homicides combined, according to the B.C. Coroner's Service. "This cries out for legal proceedings to allocate responsibility where it should be," he told Gloria Macarenko, guest host of CBC's The Early Edition. In the U.S., a federal investigation of Purdue Pharma, manufacturer of the opioid OxyContin, is underway. Hundreds of lawsuits from local governments have been filed against the company over how their products were marketed to the public. Davies says federal leadership is key to holding companies legally accountable and Canada should follow in the steps of the U.S.
"If corporate executives minimize or conceal the addictive qualities of those products in the U.S., it's at least possible that they've done so in Canada as well," he said. "That's why I'm calling on the federal government to investigate and protect Canadians." He said he wants to see compensation go to both individual victims as well as to provincial governments that have been footing the bill for the health crisis. "There is no question that we've had massive costs dumped on the public as a result of these products," Davies said. "When a manufacturer makes a lot of money in the marketplace from a product, I think they ought to be held responsible for the negative consequences of that product." 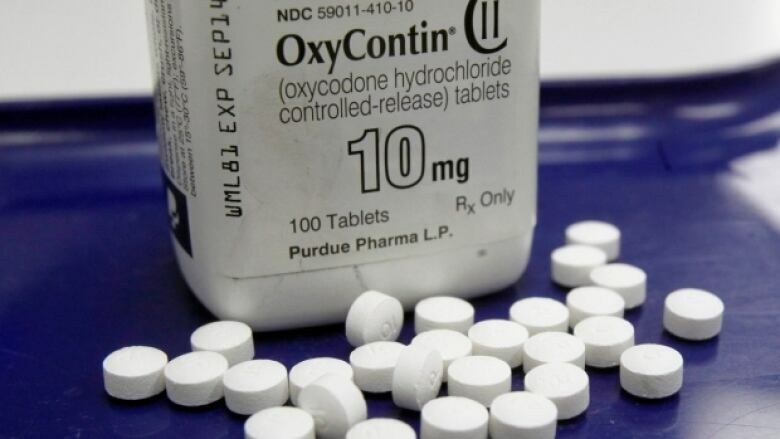 A decade ago, in 2007, Purdue agreed to pay more than $600 million US in civil and criminal suits in the U.S. for misleading the public about the addiction risks of OxyContin. Last year, the company came to a Canada-wide settlement of $20 million — including $2 million to provincial health plans — over how they marketed and sold its pain medications OxyContin and OxyNEO. Purdue agreed physicians have some responsibility for how they prescribe opioids but act on information they are given by pharmaceutical companies on the risks of the drugs. "If the opioid manufacturers are concealing or misleading their clients about the full gamut of their product, then they could and should be held responsible," he said.